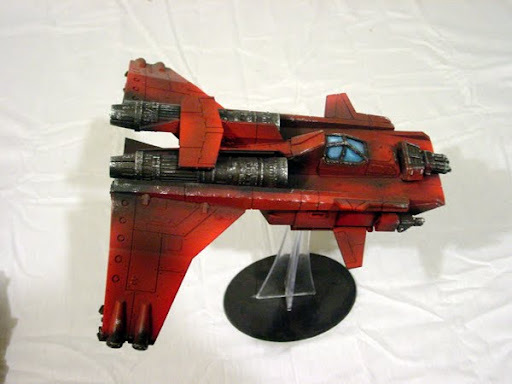 A brutal Blood Angels detachment floats down from on high. The Storm Raven soars above the rest of the army while the troops assault unabated. A mixed arms force of fast Rhinos, jump packs, and priests combine to a highly tuned synchronized force. All this is backed up by Mephiston and The Sanguinor which ensures all the bases are covered. 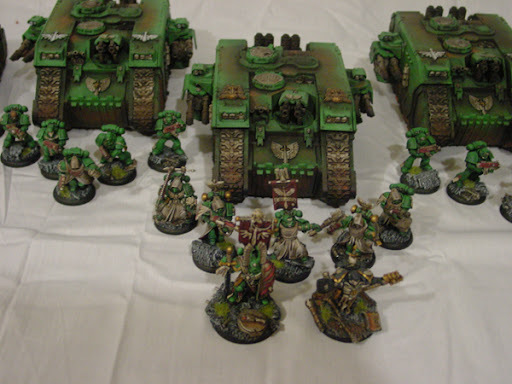 An impressive amount of armor rolls onto the field in this Dark Angels army that takes full advantage of Land Raiders, combat squads, and the Chapter Master Azrael. The Headquarters selection will mow down enemy squads and the armor of the tanks will ensure they arrive on target. The tight details and highlights bring cohesion and intimidation to the army as a whole. Totally custom Chaos unit to crush the opposition. 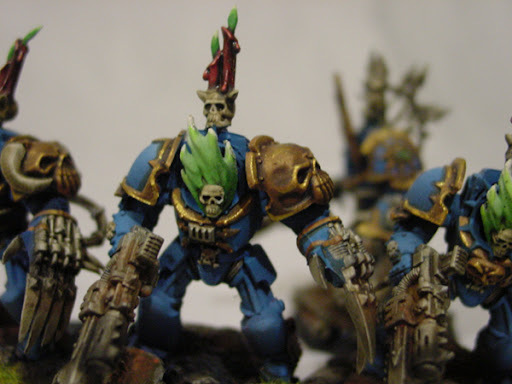 The Mark of Tzeentch improves the invulnerable saves of all the Terminators and the accompanying Daemon Prince. All this in addition to Abaddon means very little is going to stand in their way once delivered into the fray. 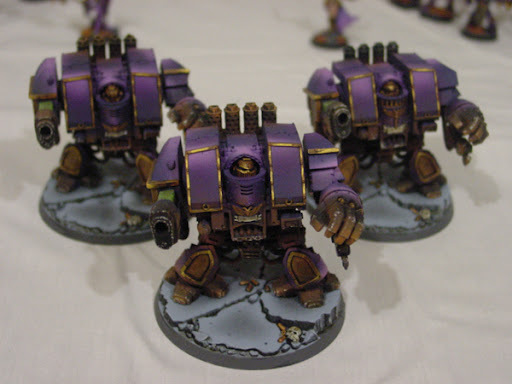 Check out the killer fades and highlights on this purple themed Emperor's Children army. The army sports an amazing amount of template weapons to take full advantage of the Lash of Submission. A counter-charge element of three dreadnoughts and a defiler make an impressive centerpiece to the force. 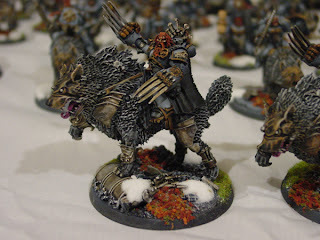 Gallery of a recently completed Space Wolves army that includes a nasty force of Terminators, Razorbacks, and Thunderwolf Cavalry.